Renee Simms is Associate Professor in African American Studies where she teaches courses in African American literature and black feminist theory. She is contributing faculty to English where she teaches Advanced Fiction Writing. A fiction writer, essayist, and poet, Renee Simms' writing appears in Callaloo, Oxford American, Ecotone, Literary Hub, Southwest Review, North American Review, The Rumpus, Salon and elsewhere. Honors include fellowships from the National Endowment for the Arts, the Bread Loaf Writers Conference, Ragdale, and Vermont Studio Center. Her debut story collection is Meet Behind Mars (Wayne State University Press). She is at work on a novel entitled Festivals. 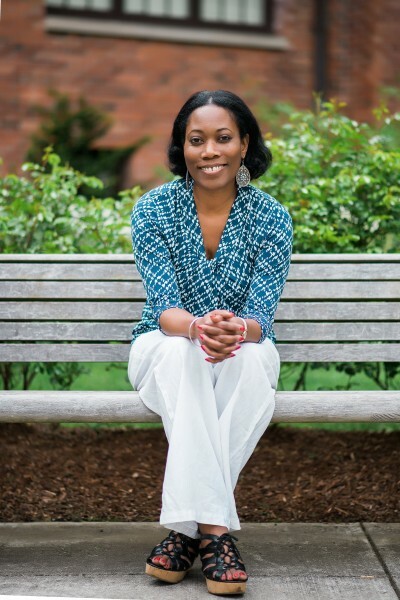 Renee’s research interests include African diaspora literature; black women’s fiction; the intersections of law and literature; and community writing pedagogies.